This entry was posted in In Passing and tagged Alastair Reynolds, Alec Nevala-Lee, David Gerrold, Gardner Dozois, Jamie Todd Rubin, John Clute, Lavie Tidhar, Lorena Haldeman, Lou Antonelli, Matthew Cheney, Michael Swanwick, Pat Cadigan, Richard Parks, Walter Jon Williams by Mike Glyer. Bookmark the permalink. A nice set of tributes. Thanks for tracking them down and linking them here. 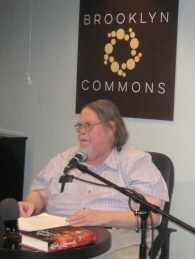 There are so many Gardner Dozois stories. Here’s a little and little-known one. When Alice Sheldon came out as James Tiptree, among the few people she wanted to meet were some of her editors. She did meet Judy-Lynn del Rey, David Hartwell, and Gardner. During a Disclave weekend, I drove Gardner and Sue down to Alli’s house in McLean, Virginia. Gardner was surprisingly anxious about talking to Alli, and during the conversation around the dining room table he slowly shredded a yellow paper napkin into tiny little bits. After we left, Alli swept up the bits of paper, put them in a plastic box, and dated and labeled it. She kept it the rest of her life, finding it a funny memento of their meeting. You can see the box of shredded napkin bits if you want. It’s in the Tiptree collection in the University of Oregon library. Thanks for gathering these Mike! Oh, Jeff, what a lovely story! Thank you for posting it. I had always wondered (as had a few other people who knew and liked Gardner), as to why an open friendly and funny person wrote such dark stories.